There are hundreds of tokens being released on the Ethereum platform, with many claiming their wide success. To date, the token market is evaluated at over 10 billion USD. However, why are tokens receiving their current valuation? Is there a way to more accurately assess the value of these tokens? 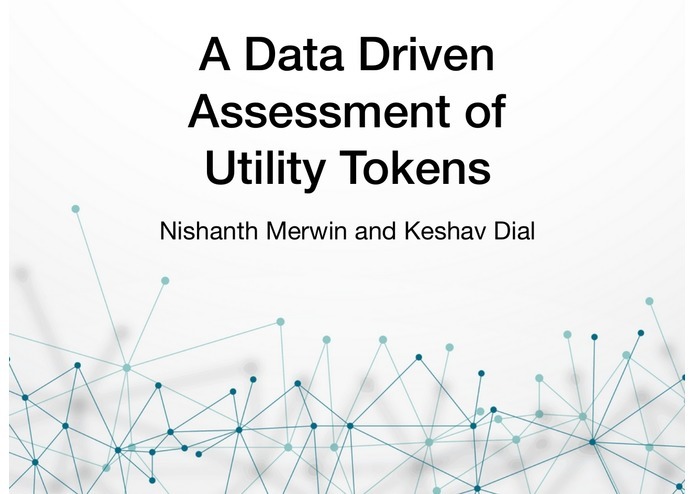 Right now, the best way to figure out the value of a token is through reading subjective reports and reviews. Using Infura, we were able to access a mainnet RPC server to query past events, transactions and wallet balances. Most of this data collection was done using the web3.py python package. This data was then compiled into a simple json schema and visualized using d3, and seaborn. Getting past events related to specific contracts had not yet been implemented in Infura's HTTP API. Through crawling their git issues, it turned out they had implemented this on their WebSocket API, however this was not supported via web3.py! As a hacky workaround, we developed a short node script that used web3 to interact with the WebSocket API and pull this past transactional data. Being able to gather data on over 150 thousand wallets and all their transaction histories. Further, our hypotheses about certain patterns turned out to be true. Visualizing these differences between BAT and BUNNY tokens showed clear and significant differences. We were able to effectively quantify the difference in utilization between two tokens. We learned how data is stored on the blockchain, and how to interact with nodes serving this data. We'd like to expand this analysis onto more tokens, and start evaluating other metrics of success. So far, none of the so called utility tokens we compared have been fully adopted, and we hope to see this change in the future.